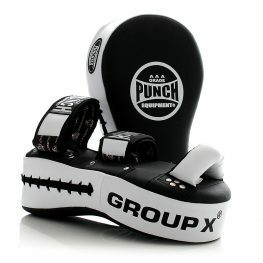 Browse the range of muay thai pads for training available from Punch Equipment. Our thai pads are available in both curved and straight versions. Ideal for improving kickboxing technique, as well as training kickboxers of any size.